Coco Beauty Bar offers hairstyling and hair colouring for our beautiful clients. 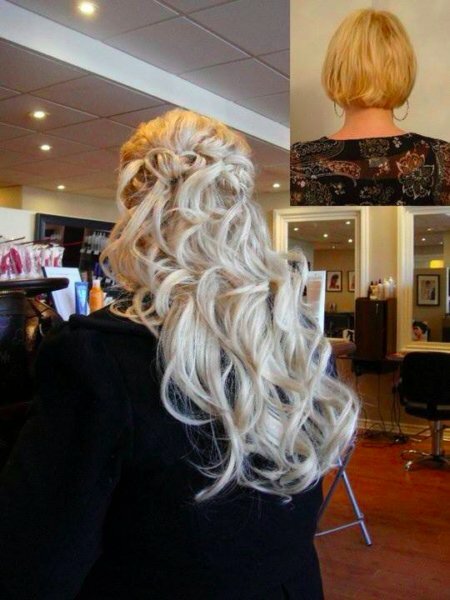 From wash and blow-dry to bridal hair up-dos and even hair extensions with 100% real Remy human hair, we got you covered! Natural, beautiful hair extensions! We only use 100% Remy Human Hair! It takes approx. 2hrs – 3hrs for the hair installation. ALL METHODS ARE AVAIABLẸ from: fusion (pre-bonded), clip-in, braided-in, weave-in, Tape hair extensions, micro-link….etc. Hair extensions do not damage your hair if it is done properly! Whether it’s a change in colour, style or even the length of their hair, stars like Bella Thorne, Hilary Duff, Selena Gomez, Miley Cyrus, Victoria Beckham and countless others often surprise us with their new look. How do you think they do it? It’s the magic of hair extensions, a great way to instantly create any style. Whether it’s creating soft, romantic waves or poker straight hair, extensions can help transform your hairstyle in hours or, sometimes, in a matter of minutes. Apart from being one of the key looks this season, long luscious locks have been a dream of many women. However, it takes a long time to grow hair out to a certain length. Besides, the care and maintenance required are monumental. But hair extensions help you attain the desirable length and texture without much difficulty.